Capellihairdressing believe that you, the customer should be treated as an individual. Our dedicated team aim to create an overall look based on your features, your hair type, your lifestyle and ultimately your ideas. Capellihairdressing also specialise in gents barbering. Please feel free browse our website and if you wish to book an appointment, please visit the contact page. Finding a hairdressing salon that really suits your style can often be a long process, Capellihairdressing offer cutting edge city styling. The salon’s stylists are highly trained and regularly attend the top hair academies (Toni & Guy Academy and Hob London Academy) to update their skills and product knowledge. The team has appeared on both. The Clothes Show and at London’s Salon International. 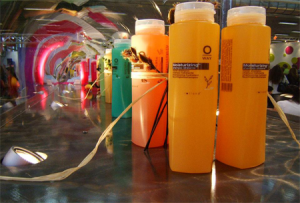 Their aim is that you leave the salon feeling ‘naturally beautiful’. styling products which, as the name suggests, are rich in organic herbs and vegetable extracts that work perfectly with the natural balance of your hair fibre. The product range is huge, with something to suit everyone.After a full consultation, your stylist will choose an organic product tailored to suit your particular hair type. Stylists have worked for many years with this Italian range of products, a range that removes all residues, leaving your hair deep cleansed and the shiniest you have ever seen it! Proverbially, our hair is our crowning glory, so to find a salon at the top of its game, bang on trend with its organic hairdressing and right on your doorstep has to be head and shoulders above the rest.